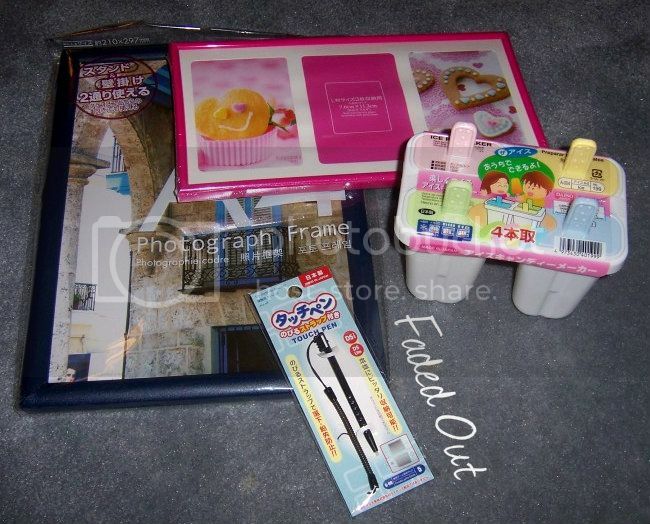 Wheee, finally had the chance to visit a Daiso store – it is the home of really cute and random items for $1.50! They have some items that are more expensive as well, but they are appropriately labeled. I am a SUCKER for really cheap and cute things. It contains stuff I never knew I needed! Daiso is completely cute-ified. The minute you walk in, you’re surrounded by the color pink and lots of hearts. Every man’s worst fear, muahaha. My boyfriend probably hated me for it, but I thoroughly enjoyed myself by going through every aisle. When I like to browse, I really like to browse. I go through each aisle in order to look at everything. My mom has been weathered by age so she absolutely hates dawdling around – she’s a go in, buy what you need, and GTFO type of person. So if we ever go together to a store I want to browse, she’d probably ditch me and tell me to meet her back at home when I’m done. LOL. My boyfriend has grown accustomed to my browsing habits, but on this particular day we went to Daiso, we had a big meal at Buffalo Wild Wings and he was in a food coma. Which meant he was sleepy and grumpy while I wanted to give in to my browsing, lol. He was a party pooper, but still endured my browsing. I limited myself to just 4 things since I didn’t have much cash on me. I’ve been looking for cheap picture frames everywhere! Daiso is heaven-sent! I like displaying pictures, but I don’t feel like spending $20 on one frame. Why are frames so expensive??? Is it because they are made of wood and glass I guess? Anyway, Daiso has both plastic and glass covered frames (with lesser quality of course) for $1.50 so now I can display a ton of pictures for the price of one normal-priced frame. I also got a Nintendo DS stylus that attaches to the “phone charm” slot of the DS so you’ll never lose it. The popsicle mold was a ” MUST BUY” kind of thing for me, just because I used to imitate the whole homemade popsicle thing when I was a kid. I would put orange juice in ice cube trays and stick popsicle sticks in them, lol. I’m thinking fruity popsicles or banana popsicles with this mold. I LOVE DAISO! We have to go back soon! And boyfriend promised we’ll go when he’s well-rested so that he’ll want to look around and buy stuff too, rather than be a party pooper. Hey, he should be happy! Instead of bugging him to take me to a candle-lit dinner, all I ask is to go to a cheap store where I buy my own crap. haha. My recent post New Theme? HEY KIM! So glad you came by ame reverie hehe =D OMG I USED TO BE IN this morning glory/sanrio goodies store ALL THE TIME. I used to collect stickers, those cute anime journals and all that! All their pens, pencils, and just be soo freaking happy about it! The stationary really got to me good hehe Wish there was a store like that nearby but nowadays I haven't found any of the cute hello kitty stuff! I love Daiso!! I went there a few weeks ago with friends and bought a crochet hook and yarn. I did see all those picture frames. Wish I had more time to look at though. The other cheap picture frames are at Dollar Tree. But they aren’t as cute! I go to Daiso every so often whenever my mom or aunt takes me, but we've being going less and less. It's an alright store. I like going through the stationary aisle only because no other aisle really interests me. I can stay in that aisle for a very long time until my mom or aunt finishes the whole store. Cola popsicle sounds interesting! I wonder if it stays carbonated, or not. Probably not huh? I love stores like that. We don't have many stores in my area, I usually have to travel to Long Island or Staten Island, to find deals like that! I love cheap cute stuff too! It makes me want to buy everything because they're so cheap XD I have a tendency to browse a lot too, but my husband doesn't like it when it's a store he's not interested in. I'll just go without him sometimes, haha. Ooh, that DS stylus is a good idea, especially since I've already lost a stylus. I remember using a popsicle mold when I was very young, but I don't have one anymore. Makes me want one now! I think I went to a Daiso when I was in Seattle? I remember going to a cute Japanese store, and being able to buy false lashes for $1.50. I wish we had something like that here!